This elegant chocolate dessert might seem complicated but it really wasn't. First I prepared a cardamom-flavored chocolate mousse. 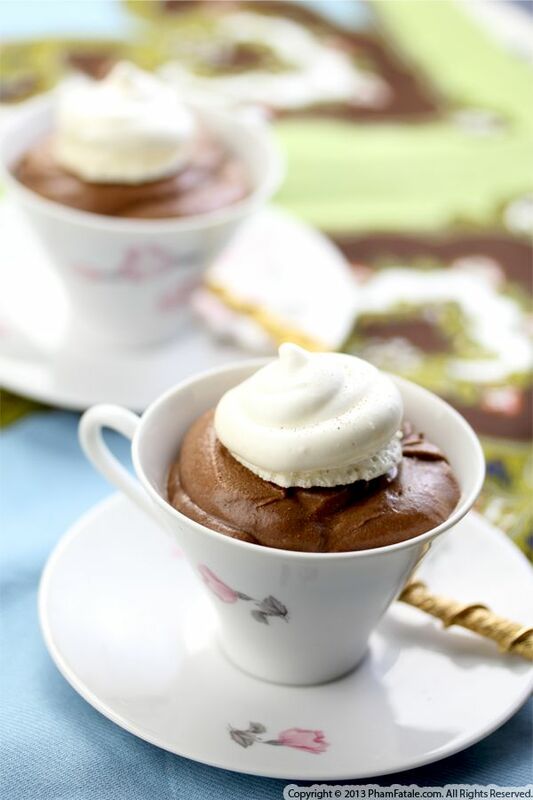 The mousse required very few ingredients: milk, whipping cream, butter, sugar and of course cardamom and chocolate (the stars of this sweet treat!). You'll notice no eggs were used in this step. The second step is the meringue cookie topping. You can prepare the meringues way in advance and assemble the dessert at the last minute. The meringues provided a nice contrast of texture against the velvety chocolate mousse, as well a striking contrast of color. I love the combination of chocolate and raspberries. 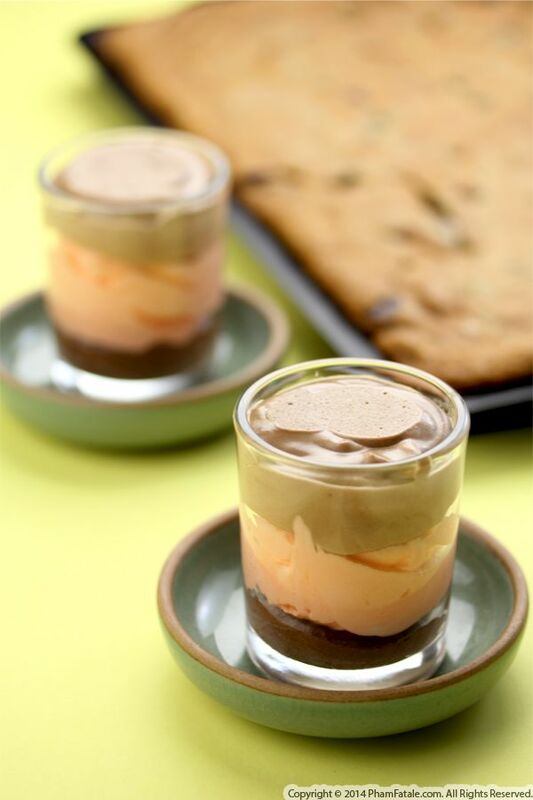 I've paired them in multiple desserts such as trifles, tiramisu and custards. But raspberry chocolate mousse was missing from the list of desserts I've shared so far. The last time, I made an eggless mousse, but this time, I decided to add eggs. To ensure an airy, fluffy consistency, the eggs should be beaten for a very long time, then gently folded in melted chocolate and whipped cream. I flavored the mousse with raspberry extract and repeated the same flavor by adding chopped fresh raspberries to the whipped cream. The dessert can be prepared two days in advance, which is ideal when we host dinner parties. 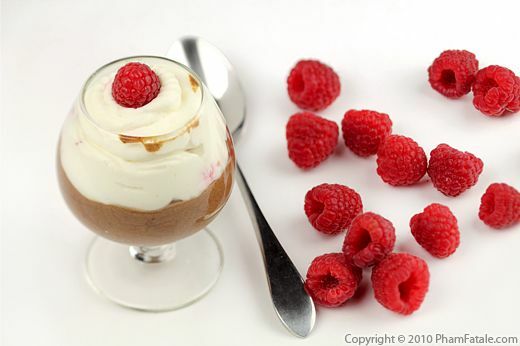 Raspberry chocolate mousse never fails to satisfy the sweet tooth of my guests. No chocolate addict can resist!